I’ve never had homemade Mascarpone before making this recipe… and now I’m spoiled. I honestly couldn’t stop going into the fridge and having a taste here and a taste there, just to see how it was. I had to force myself to stop so I could have enough to make frosting out of it! Just like Homemade Ricotta, this is another super-easy cheesemaking recipe. You only have about 20 minutes of work, and the remainder of the time is hands-off resting time. To make your life easier, a thermometer that clips on to the side of your bowl means you don’t have to dip in a thermometer to check the temperature every few minutes. You’ll be able to just watch the temperature increase as you get closer and closer to your goal temperature. If you need Mascarpone for a recipe, make sure to start it the night before, as it needs to sit for at least 8 hours in the fridge to get to the perfect consistency. You can use Mascarpone for savoury and sweet recipes… like in Tomato and Mascarpone Soup, in baked pastas, or in cheesecakes! 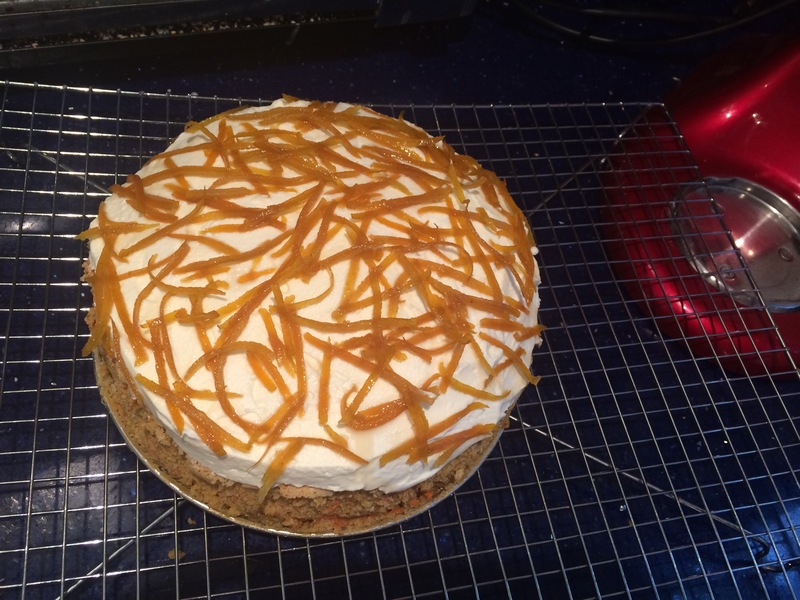 I used mine for a Mascarpone Frosting for a Gluten-Free Carrot Cake (stay tuned for the whole recipe!) — and it was divine. 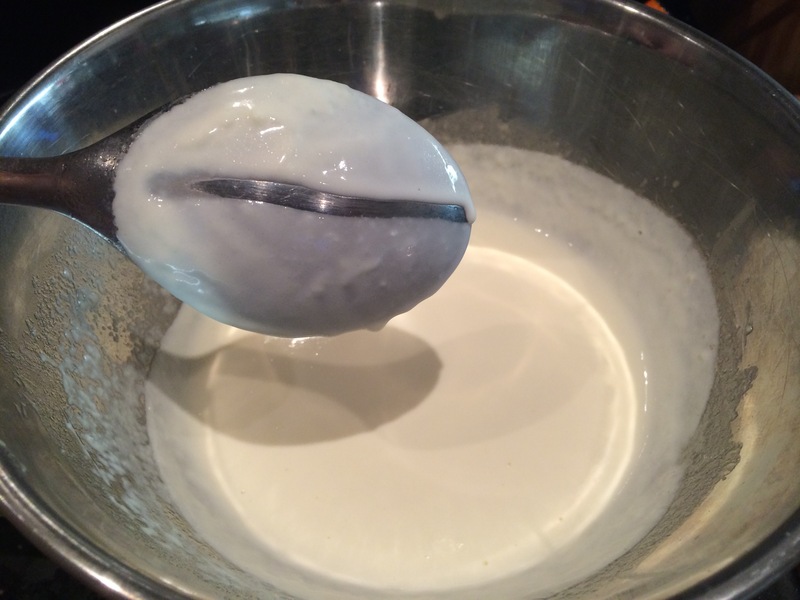 If you haven’t had homemade Mascarpone, I would like to HIGHLY recommend you give it a shot! 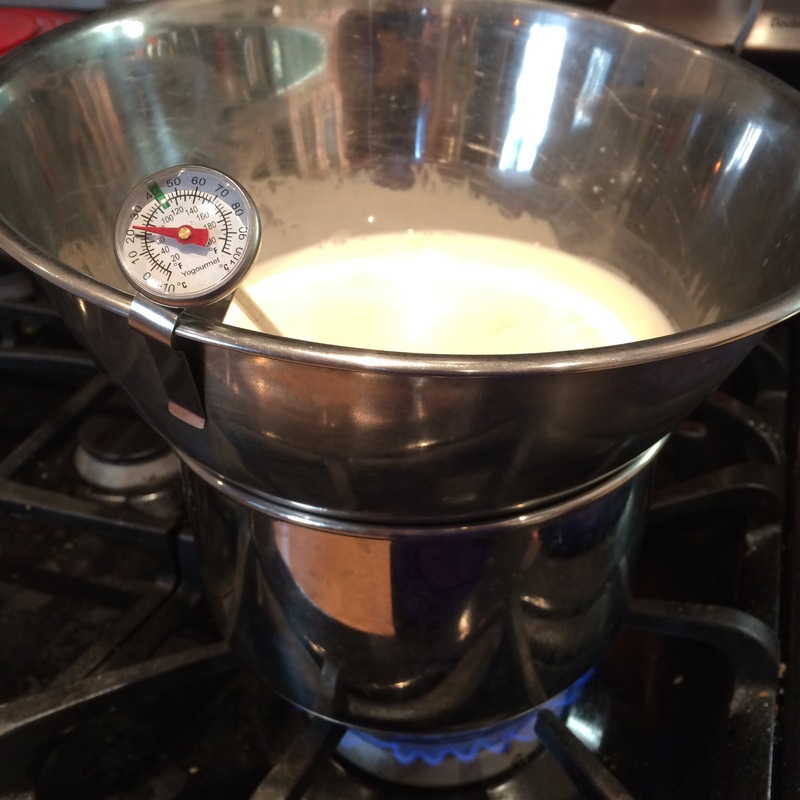 Set up a double boiler by filling a pot with 1″ of water, and placing a bowl over top. Bring the water to a boil, and reduce the heat to a simmer. Pour the cream into the bowl. Bring the cream to 190F (87C). Add the lemon juice, and stir gently. The cream will be thick enough to cover the back of a spoon. Keep the cream at 190F (87C) for 5 minutes. Remove the bowl from over top of the hot water, and let cool, undisturbed, for 20 minutes. While the cream mixture is cooling, line a colander or sieve with cheesecloth (4 layers of grocery store cheesecloth or 1 high-quality cheesemaking bag/cloth). Place the colander/sieve over a bowl to catch the leftover whey (there won’t be much with this recipe). After the cream mixture has cooled for 20 minutes, pour it into the lined colander/sieve, and let cool completely. Cover with plastic wrap and refrigerate for 8-12 hours. Transfer to a storage container (or use in your recipe).